Our April event will be a relaxing, fun filled evening where we will build and take away a container filled with culinary goodies. 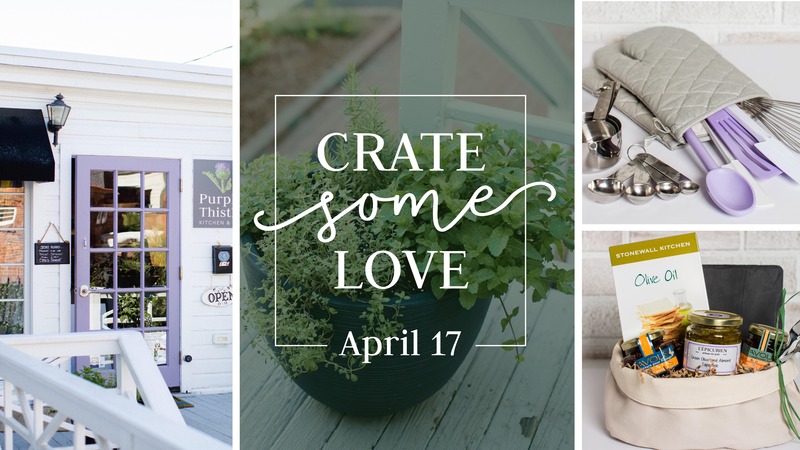 You will receive a colorful, spring-themed container to fill with utensils, artisan gifts, speciality foods, plant-based cleaners, candles and other items from The Purple Thistle and The Pinehurst Olive Oil Company. Direct Cellars will be hosting a wine tasting. Cocktail snacks will be served. Ticket Price Includes: basket, filler, wrapping materials and a 20% off store voucher to use on items to fill your gift basket. Upcoming Events at Purple Thistle Kitchen & Co.